Your leaking roof repair in Denver will be quick and permanent, when you call us. When water finds its way through your roof, it can lead to serious problems and health concerns. Call us to find the problem, find a solution, and find out if your insurance will cover it. You will get a five-year warranty on workmanship. Call now at 303-294-9535 for your free estimate. If you need leaking roof repair in Denver, call right away. You have found an expert roof contractor who can quickly pinpoint leaks and stop them before they turn into major issues. • A small leak will only get bigger. Water travels the path of least resistance. It can be driven inside by wind and rain. • Our expert leaking roof repair in Denver will prevent water from causing expensive rotting of decking, soffits, trusses and even sheetrock. • Intrusion of rain into your attic can destroy insulation and foster growth of dangerous mold and mildew. These can enter your ductwork and aggravate allergies and asthma. Don’t let it happen! Call now. When violent weather moves through the area, it can lift shingles, driving rain beneath them and the flashing. Wind can also turn loose debris into damaging projectiles. If you notice any damage, it is important to call right away. We will work with your insurance company to help process your claim. 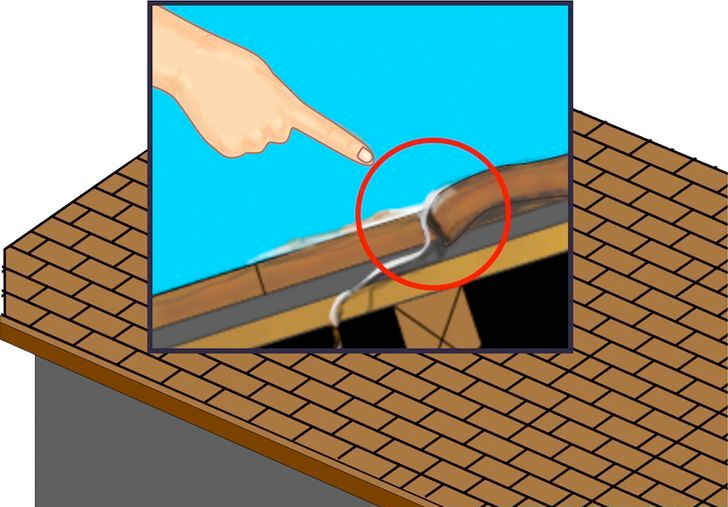 Leaking roof repair in Denver may be covered by your insurance. Many people don’t know if and when their policy kicks in. We have a lot of experience working with insurers to get claims processed. Let us analyze your policy without cost or obligation. Did you know that if you have a water stain on your ceiling, the problem may have been caused at the other end of the house? Water can travel horizontally, and far. Do not try to fix it yourself or hire a general handyman. Wilson Brothers has been in Colorado since 1984. We have the expertise to find problems and repair damage – quickly and thoroughly. • Ice dams can form on your roof if your home is not well-insulated, holding snowmelt against your shingles and inviting water intrusion. (Don’t try to break them up yourself. You could only do roof damage). • Blocked gutters can cause rainwater to back up under roofing. It can stay there, steadily causing damage. • Rain water may seep under damaged shingles or be driven into weak joints, potentially damaging the underlayment. • The freeze-thaw cycle and ultraviolet radiation can weaken the shingles and underlayment over time. You may think that bad storms wreak the most havoc. But the number one cause of water intrusion is improper installation. Shoddy work by your former contractor may have left shingles and tiles more vulnerable to damage when violent weather moves in. A weak roof is a disaster just waiting to happen. When considering leaking roof repair in Denver, choose your contractor with care. So-called storm chasers will come in from out of town, canvas neighborhoods after bad weather, and offer repairs that you may or may not need. Chances are you will never see them again. You are out of luck if the repairs don’t last. Too often, they don’t. • Work with a local company with nearly three decades of proven experience. We will be there for you in the future. • Your repairs will be handled by our licensed and insured workers. • Many of our team members have been with us for more than a decade, and all subcontractors are carefully vetted and insured.